Okeena Pool in the community park in my home town. I snapped this photo while I was in town. We’d stopped at the park for my sister and her husband to visit a family reunion. It’s the public pool where at least one day out of every summer of my childhood was spent. The pool was blue in color then. I even remember my Mom taking me to the kiddie pool in the foreground. It didn’t have a fence around it back then. Eventually my sister took me to the big pool in the background, but I never went in the middle (the deep end) because I couldn’t swim. It eventually became a tradition for my niece and nephew. 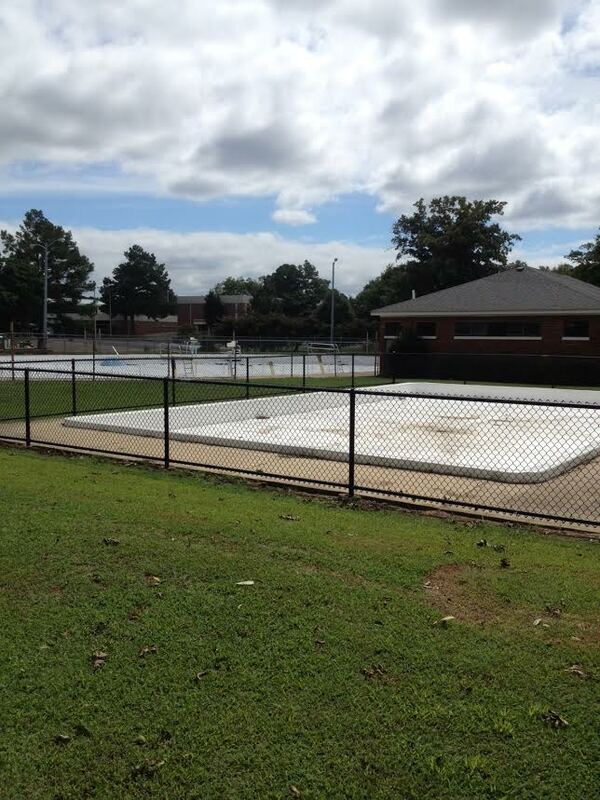 Sadly, the pool didn’t open this year because it needs a new filtration system which could not be afforded. The deep end was also where the son of one of our neighbors passed away back in the mid 80’s. His name was Johnny Taylor. I remember Johnny rode his bike all over the neighborhood. There’s even a bike engraved on his tombstone because that’s how people remembered him. Johnny went to the pool every day each summer. He was diving off the high board and hit his head on the bottom of the pool. That’s the community college in the far background where I went my first year of college in the fall of 1994.